The Youth United network has successfully secured £5 million investment from the Department for Digital Culture, Media and Sport. 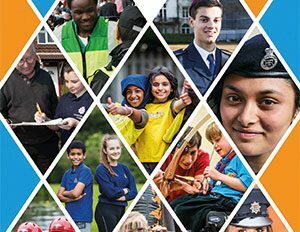 The Uniformed Youth Fund aims to provide further opportunities to reach vulnerable young people whilst also increasing the opportunities for volunteers to expand and enhance their existing skills resulting in an expansion of the overall offering. Two grants have been secured one which will support organisational infrastructure including, enhancing volunteering capacity, improving systems and processes. The grant will provide resources to support sustainability and strengthen the quality of our delivery. The second grant will allow us to pilot initiatives to strengthen our work and look at specific ways of working, one such example being working with young people with additional needs. Both grants have a short timescale for delivery and were pitched at a level that would be deliverable within the timescale and not to the detriment of existing work. Integral to us securing the funding was the latest ComRes report which was presented to Government officials by the YUF Youth Panel - “Social Integration: The Role of Uniformed Youth Groups” the report found that belonging to a uniformed youth group enabled young people to interact with individuals and environments which differed from them, this helped foster a sense of belonging to their communities and peers.